2016 was a year to remember! The 17th Annual Woodstock Film Festival was a success and featured many highlights including the sold-out World Premiere of BLIND. Guests, including Karen Allen, Alec Baldwin, Ben Foster, Leon Gast, Catherine Hardwicke, Jim Jarmusch, Alejandro González Iñárritu, David Linde, Oren Moverman, Kate Pierson, and many others, turned out to make 2016 special. 2016 was also a year to forget. Many loved ones were lost, especially in music (David Bowie, Keith Emerson, Greg Lake, Leon Russell, Sharon Jones, Leonard Cohen, Paul Kantner, Prince, Glenn Frey). And the world seems to have fractured on so many levels. The bonds that should unite humanity have been torn asunder by propagandists, politicians and greed. Truth has lost its dominion to money. This makes what we do at the Woodstock Film Festival more important than ever. As we start our 18th year, we will continue to present established and emerging filmmakers who are dedicated to sharing universal truths about the human condition by using film as powerful tool for expression and conflict resolution. We want to wish you all very happy & healthy holiday season, and as the year comes to a close, we'd like to remind you that there's still time to support the continued efforts of the WOODSTOCK FILM FESTIVAL and HUDSON VALLEY FILM COMMISSION. 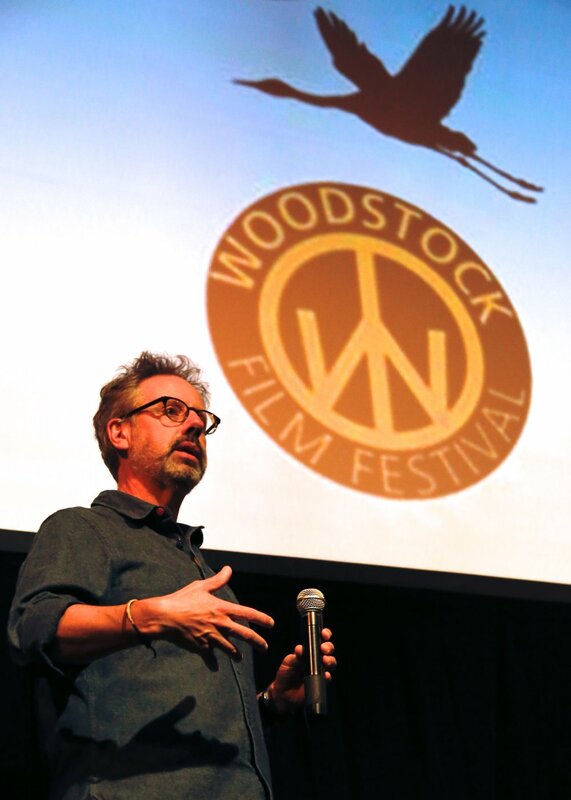 Funding for 2017 will offset costs for the 18th annual Woodstock Film Festival, including year-round screenings, marketing, community outreach, artist and guest relations, travel, venues, equipment rentals, independent contractors, mortgage payments and other expenses. From Sundance to Times Square, Woodstock Film Festival alumni make waves. For the whole month of December, former WFF volunteer Jessica Medenbach's film clip COUNTING SHEEP will be screening on the Times Square electronic billboards from 11:57 pm to midnight every night. She raised all the money on Kickstarter to make the film, directing and co-producing the piece with artist Tal Yarden, who creates, designs, directs and shoots visual content for a variety of mediums. He specializes in work for live events including dance, theater, opera, special events and music performances. In 2009, Tal filmed a giant snow angel at the Woodstock Day School from 60’ up in a bucket truck. A group of 25 angels were videotaped in a number of positions surrounding performer Reagan Bongiorno, who was cast as the centerpiece 'red' angel. The work became part of CRIES & WHISPERS, a theater project by the Dutch theater company Toneelgroep Amsterdam. COUNTING SHEEP is a part of Midnight Moment, a monthly presentation by the Times Square Advertising Coalition (TSAC) and Times Square Arts. For the year’s end, Counting Sheep shepherds us into a soothing American pastiche of expansive Wyoming landscapes. The film follows the Meike brothers, octogenarian sheep ranchers, through the arc of the year’s natural seasons, from the winter fields to the Big Horn Mountains in summer before trailing home in the fall. LOVING was the centerpiece screening at the 17th annual Woodstock Film Festival, courtesy of Focus Features. Frequently cited as an Academy Award Contender, the film is currently screening at Upstate Films Rhinebeck. 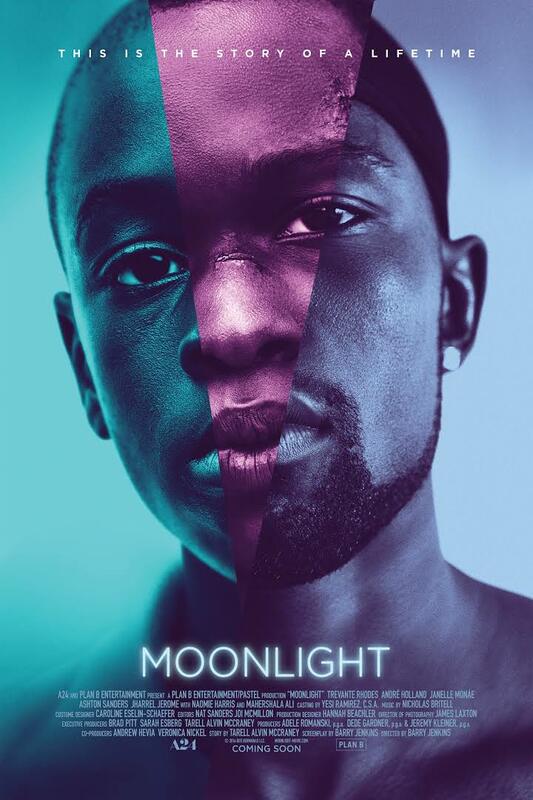 MOONLIGHT is currently playing at Upstate Films Rhinebeck and is one of the most acclaimed films of the year. Proud to announce that many Woodstock Film Festival alumni and friends will have films premiering at the Sundance Film Festival, which takes place from January 19-29, 2017. Executive Director Meira Blaustein will be in attendance for what is sure to be a high-quality slate of diverse and thought provoking films. "From a historic genocide trial to the overthrow of a president, the sweeping story of mounting resistance played out in Guatemala’s recent history is told through the actions and perspectives of the majority indigenous Mayan population, who now stand poised to reimagine their society." "An aimless teenager on the outer edges of Brooklyn struggles to escape his bleak home life and navigate questions of self-identity, as he balances his time between his delinquent friends, a potential new girlfriend, and older men he meets online." Cast: Harris Dickinson, Madeline Weinstein, Kate Hodge, Neal Huff. Dee Rees is a part time resident of the Hudson Valley. "In the post– World War II South, two families are pitted against a barbaric social hierarchy and an unrelenting landscape as they simultaneously fight the battle at home and the battle abroad. This epic pioneer story is about friendship, heritage and the unending struggle for and against the land." Cast: Carey Mulligan, Jason Clarke, Jason Mitchell, Mary J. Blige, Garrett Hedlund, Jonathan Banks. "Over the course of 12 years, and three stages of life, Sidney Hall falls in love, writes the book of a generation and then disappears without a trace." Cast: Logan Lerman, Elle Fanning, Kyle Chandler, Michelle Monaghan, Nathan Lane, Margaret Qualley. "This is the remarkable story of an American icon who changed the sport of big wave surfing forever. Transcending the surf genre, this in- depth portrait of a hard-charging athlete explores the fear, courage and ambition that push a man to greatness— and the cost that comes with it." "Are there limits to your love for your family? One family’s acceptance is tested when a champion diver, destined for the Olympics, announces he’s transitioning into a woman—and invites his YouTube followers along for every moment. It’s a story about unconditional love and finding the courage to be yourself." Alex Smith and Andrew Smith screened their film WINTER IN THE BLOOD at the 2013 Woodstock Film Festival where it won an Honorable Mention for our Best Feature Narrative Award. Alex Smith is also a resident of the Hudson Valley. "A father and son struggle to connect on any level until a brutal encounter with a predator in the heart of the wilderness leaves them both seriously injured. If they are to survive, the boy must carry his father to safety." Cast: Matt Bomer, Josh Wiggins, Bill Pullman, Alex Neustaedter, Lily Gladstone. "It was an honor to follow Margo's progress over the years as she developed the feature film THIRSTY," said executive director Meira Blaustein, "It was a bigger honor to show the completed film last October at the Woodstock Film Festival, where it played in front of a completely sold out house at the Saugerties Performing Arts Factory. Everyone enjoyed enjoyed watching the film with her, and a live performance and party followed afterwards. Margo's resilient spirit saw her through the production and exhibition of THIRSTY and carried her through the difficult fight with cancer. May she rest in peace." "Margo Pelletier, the brilliant visionary director of THIRSTY, passed away on November 27, 2016 after a long and valiant battle with cancer. In telling Scott Townsend’s story, Margo was telling her own story, as she grew from a misunderstood tomboy to a politically and artistically passionate adult – one who appreciated both the dangers and joys of gender identity. We’re smiling through the tears that Margo was able to see her vision realized. Despite the odds against her, Margo was able to accompany the film from it's first sneak preview in Provincetown to it's premieres in New York, London, Woodstock and Orlando. The early reviews of the film coupled with the audience reactions energized Margo and kept her going until she could go no more. Margo will live on, not only in the films she made with her wife and producing partner, Lisa Thomas, but in the memories of all those who knew, loved and admired her. We will miss you Margo. You saw things in a way that was uniquely your own and were without a doubt ahead of your time." "My brilliant Belgian stem cell doctor, Koen Van Besien, covers the western science biochemical side of the equation here and he has assured me that all science, cellular and biochemical, stands in my favor as I move forward into the unknown, and that my chances are very good. But he admits, as always, as do we all, that I'll still need "a little bit of luck." Over the past week, my Somalian nurse, Farida, offered up the advice of embracing 'yey-lin' which means 'acceptance' in the heart of her native language. And my Nigerian nurse's aide, Eberle, who is notably, almost strangely ever-quiet, acknowledged my worry this morning and offered up a wish for my healing with a word from his mother tongue: oh-puh-queh. Which means to have faith and hope in God.